It’s one thing to be able to party all night. That’s impressive, if you’re a co-ed at a college rager. For seasoned vets like Major Lazer, the fun doesn’t stop until you’re on another continent. The genre-mashing dance project, helmed by producer Diplo and featuring a rotating cast of merry collaborators (in this instance, British EDM whiz kid Flux Pavilion), just released the video for “Jah No Partial”. The video, made up of footage taken from the Mad Decent Block Party Philadelphia, the Notting Hill Carnival in London, and Pukkelpop in Belgium, showcases The Major Lazer Experience in action across the globe. It’s hard to tell which festival appearance is which; seems that anywhere you want to go in the world, there will be throngs of sweaty kids happy to get down. If anyone needs to do a paper on the topical effects of globalization, just cite this video. Raves: they’re educational! Check out the visuals for “Jah No Partial” after the jump. 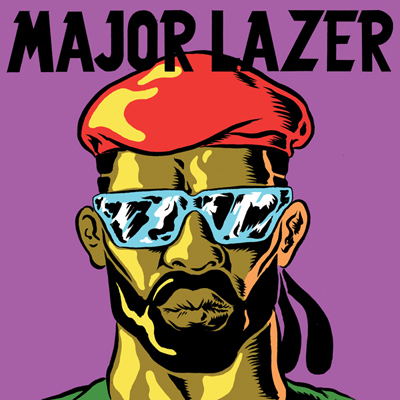 “Jah No Partial” will be featured on Major Lazer’s sophomore album Free The Universe, out on February 19th, 2013.